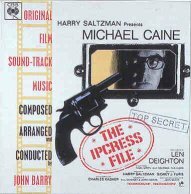 Listen to "The Ipcress File (Main title)" in Real Audio, click here (641 kB). 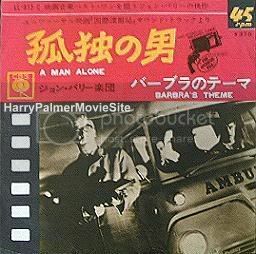 Listen to "A man alone (end credits)" in Real Audio, click here (347kB). 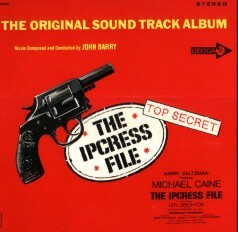 Soundtrack was released in 1967. 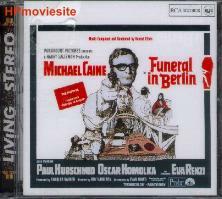 Re-release Funeral in Berlin soundtrack on CD! 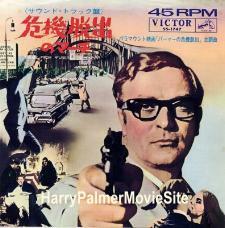 Expanded original soundtrack by Konrad Elfers for second Harry Palmer film. 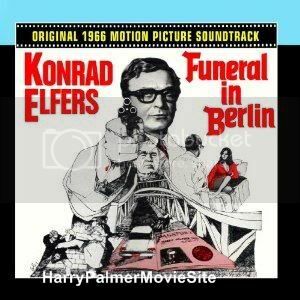 German pianist/composer Konrad Elfers supplies sometimes intense, sometimes brooding score which anchors with memorable funeral march heard in many guises: brass-led, robust, subtle, dissonant, imposing. 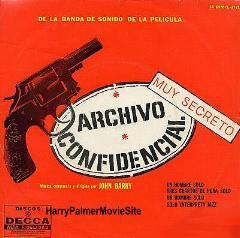 Entire score melds classical, jazz, modernistic technique into superb 1960's spy-flavored work of art. 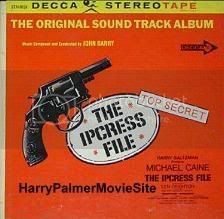 All tracks of original 1966 RCA stereo soundtrack album appear, newly mixed from 1/2" three-channel masters. 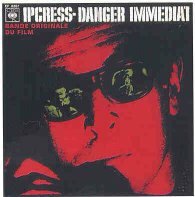 Exciting, previously unreleased original pre-title sequence ("Berlin"), second version of "Tension Among Mortuary Men - Reprise") amongst cool extras. 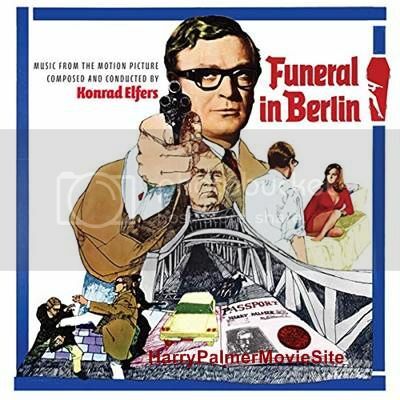 Listen to "Funeral in Berlin (Main Theme)" in Real Audio, click here (412 kB). Listen to "Palmer Meets Samantha" in Real Audio, click here (355 kB). Billion Dollar Brain soundtrack officially released on CD! Previously available only as part of a very expensive limited edition box set called The MGM Soundtrack Treasury (that sold out quickly), the Billion Dollar Brain soundtrack is now available as a stand-alone release, for all who missed out on the box set or may not have even known about it. This release has been newly remastered. 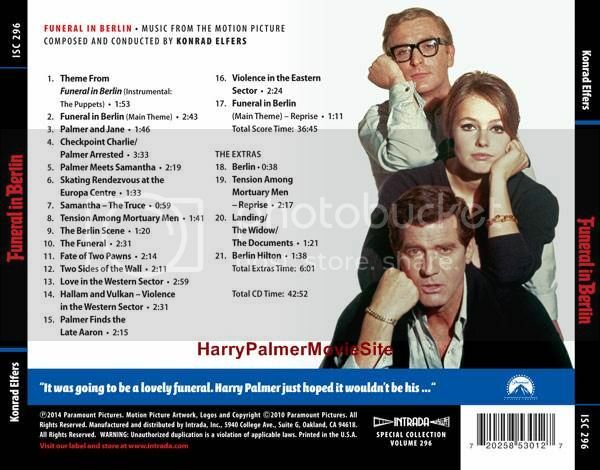 Also on this Cd the soundtrack of the The Final Option by Roy Budd (Get Carter). Only 1000 copies available. Officially It will be released in december 2009, but delivery started in November'09. 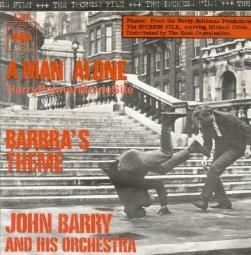 Cover art see above. 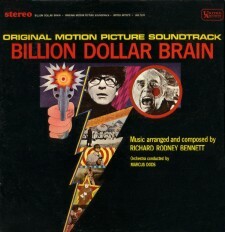 Listen to "Billion Dollar Brain (Main Theme)" in Real Audio, click here (401 kB). 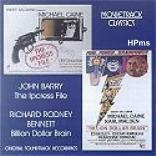 Sir Richard Rodney Bennett, who died 24 December 2012 at the age of 76, was one of Britain's leading film and television composers for most of the last 50 years. He was nominated for the Academy Award three times – for Far From the Madding Crowd (1967), Nicholas and Alexandra (1971) and Murder on the Orient Express (1974) – but his more recent excusions into film included the popular Enchanted April (1991) and Four Weddings and a Funeral (1994). He won a BAFTA for Orient Express and was nominated several more times for equally deserving scores including Equus (1977) and Yanks (1979). 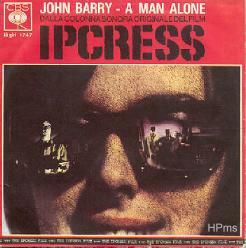 The complete profile and interview appeared in FILM SCOREMONTHLY. 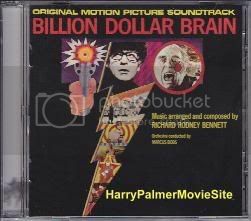 "The main titles of BILLION DOLLAR BRAIN are of computer printouts about Harry Palmer. So you saw all these machine like happenings. I had recently seen Labaie des anges (BAY OF ANGELS) scored by Michel Legrand which is about gambling.He used a lot of piano keyboarding sounds, and so I did steal that idea, so the title music is three grand pianos playing in front of an orchestra. I did not use any instruments that sounded sympathetic like strings or flutes. I used alot of percussion, brass, and pianos, and this extraordinary French electronic instrument called a ondes martenot. It was a coloristic decision. 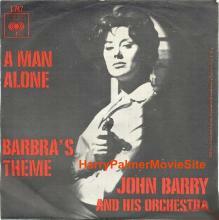 I did not know John Barry's score, and BILLION DOLLAR BRAIN was kind of fun in that kind of way. 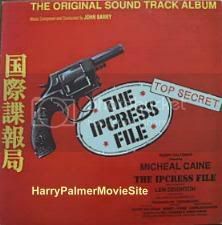 You often get a cue for a film from a) something from in the film itself,and b) from somebody else's score..."
End credits mention the existence of a soundtrack for Bullet To Beijing on CD(? ), but this soundtrack has never been released. 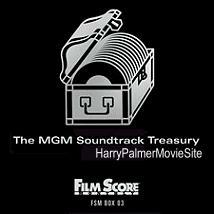 For both movies LMH Ltd. has the soundtrack rights. "What an amazing five months! 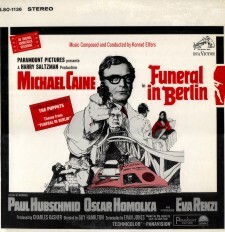 It's almost impossible to know where to start, but we'll do our best.. Firstly the Michael Caine films. All the music was finally delivered in early April and "Bullet to Beijing" was premiered at the film festival in Cannes in May. This is due for major cinematic release a little later this year. The other film, which was made for television and entitled "Midnight in St Petersburg", has yet to be given a viewing spot although it is unlikely that it will be shown until at least three months after "Bullet to Beijing " has been shown.